Mice are used as model organisms across a wide range of fields in science today—but it is far from obvious how studying a mouse in a maze can help us understand human problems like alcoholism or anxiety. How do scientists convince funders, fellow scientists, the general public, and even themselves that animal experiments are a good way of producing knowledge about the genetics of human behavior? 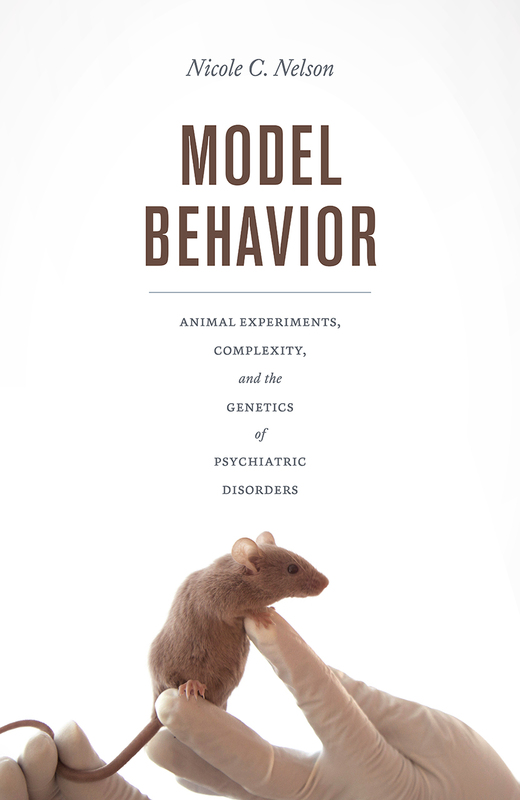 In Model Behavior, Nicole C. Nelson takes us inside an animal behavior genetics laboratory to examine how scientists create and manage the foundational knowledge of their field. Behavior genetics is a particularly challenging field for making a clear-cut case that mouse experiments work, because researchers believe that both the phenomena they are studying and the animal models they are using are complex. These assumptions of complexity change the nature of what laboratory work produces. Whereas historical and ethnographic studies traditionally portray the laboratory as a place where scientists control, simplify, and stabilize nature in the service of producing durable facts, the laboratory that emerges from Nelson’s extensive interviews and fieldwork is a place where stable findings are always just out of reach. The ongoing work of managing precarious experimental systems means that researchers learn as much—if not more—about the impact of the environment on behavior as they do about genetics. Model Behavior offers a compelling portrait of life in a twenty-first-century laboratory, where partial, provisional answers to complex scientific questions are increasingly the norm. Introduction: A Furry, One-Ounce Human? "Overall, the book is a first-class piece of scholarship: the arguments are clearly made, stimulating and well-supported. It contributes significantly to continued interest in the centrality of model organisms to the socio-epistemic character of the modern biosciences. . . . It will interest those working on all aspects of social genomics, those who study laboratory animal research and modelling and, because of its re-entry into the constructionist heartland of STS itself, a wide range of scholars concerned with the development of the discipline more widely." "In this excellent book, a compelling read for STS scholars interested in the way in which biomedical knowledge of psychiatric conditions is produced, Nelson takes us to the oft-hidden world of the animal house. . . . This is an extremely well-crafted and engaging book illustrating how, in order to produce 'enduring genetic findings,' researchers need to negotiate the relationship between humans and animals; between an isolated, local experiment and what forms part of a more general model; and between a behavioural trait and an experimental artefact. It is a must read for those interested in the role laboratory animals and their handlers play in the construction of biomedical knowledge, questioning the possibilities of engaging with ideas of complexity when ultimately modelling is a form of simplification." "An engaging and meticulously argued account of the ways in which complexity animates experimental practice. It is a must read for anthropologists interested in mental illness, laboratory work, and the social study of genomics. In a protracted moment of postgenomic scientific uncertainty, characterized by accusations of reductionism and the rise of big data approaches to behavior, Nelson provides a fresh view onto the well-trodden terrain of the laboratory to show how epistemic communities grapple with complexity and contingency in their everyday work. In doing so, she paints a picture of experimentation as a process that, rather than seeking to reduce and manage complexity, actively pursues and compounds it. Here, then, is a new vision of animal models whose purpose is not to find universal biological truths, nor make transspecific comparisons, but rather to capture specific behavioral processes and to engender more careful methodologies and multidisciplinary collaborations. This book is a critical step in developing medical anthropology and STS theorizations of how scientists preserve uncertainty as they build research programs." "A pleasure to read. . . . Nelson succeeds in making her examination of complexity in animal behaviour genetics research at once clear and compelling, as well as academically astute. . . . Nelson’s clever decision to study the complexity narratives of the scientists she follows pays dividends in many ways. Model Behavior paints an intriguing picture of what it looks like when scientists take on a role as actors and collaborators in efforts by STS scholars to question the overly simplistic explanations of their work. While Nelson’s book is primarily a work of sociology of scientific knowledge, rather than of medical history, historians of biomedicine have a lot to learn from her fascinating and insightful examination of the surprising embrace of complexity over simplicity, and the eschewing of one-to-one correlations, in behaviour and health."